For some businesses, two heads are better than one. That's the case in TITLE Boxing Club's location in Chicago's Lincoln Park neighborhood. 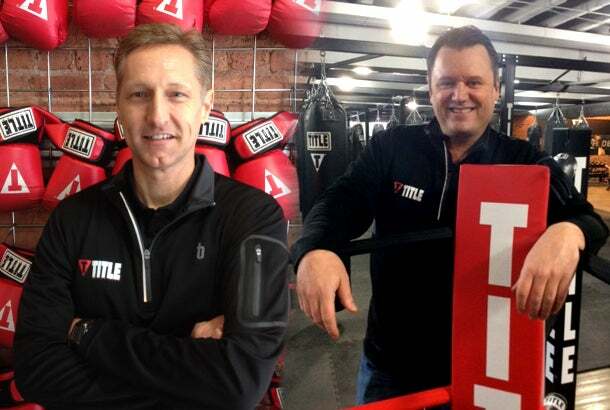 Business partners John Jarvis and Mike Confalone both had experience in the franchise industry when they opened up the boxing club together. Here's what the duo has learned. Jarvis: I have been involved with franchising for five years. I have been a franchisee within the TITLE Boxing Club system for two years. Confalone: TITLE Boxing Club of Lincoln Park has been open for eight months, but I have owned other franchises for a total of five years. Jarvis: I always had an entrepreneurial spirit and a knack for leadership. I am a strong proponent of following a process and felt franchising was a great route for me to pursue. Confalone: It gave me an opportunity to branch off into other business ventures utilizing a proven business model. The great part of franchising is you have a built in support system and proven business model where a lot of the learning curve has already been done. What were you doing before you became a franchise owner? Jarvis: Before getting involved with the franchising I spent most of my career in sales and sales management within the healthcare industry. Confalone: I recently sold a marketing company and still own a data management firm. Jarvis: I think first and foremost I liked the service TITLE Boxing Club offered; it is a fun, dynamic workout. From a business standpoint, I liked the processes they had in place and felt they could be replicated easily. Confalone: I took a TITLE Boxing Club class and was immediately hooked on the concept and workout. I became a member and was so excited about the workout that my wife ended up joining as well. I then went to discovery day and had a chance to meet the founders and management team of TITLE Boxing Club and was impressed with open and honest nature of the dialogue, the support structure and the overall team attitude focused on making every club a success. Jarvis: The biggest challenge in franchising is getting the business opened. I have been a part of multiple build outs and each one is unique. There are always unforeseen obstacles and challenges. Confalone: Finding a suitable location in downtown Chicago and negotiating the lease was by far the hardest part of getting opened. Jarvis: My advice may not be for everyone, but for me it is imperative to follow the process. Franchises have become what they are through their processes. The strongest, most successful franchisees are the ones who embrace the guidelines of the franchisor and don’t try to reinvent the wheel. My other piece of advice is the old business adage inspect what you expect. You can hire the best people and have countless conference calls but the only way you truly know what is happening in your business is to be in it. Confalone: Do your due diligence. Talk to as many franchise operators as you can. Make sure you have your financing locked down tight and have surplus funding available. These things will help you sleep at night when unexpected expenses arise. Also, have fun with it. Things are going to go wrong so learn to adapt and roll with the punches. Hire a great staff and empower them to do a great job. Finally, wake up every day with the goal to deliver the best experience possible to your members. Jarvis: The next thing for our business is to continue to get better. There are always opportunities to improve on our processes, which ultimately makes for a better experience for our customers. Confalone: I plan to open additional TITLE Boxing Clubs and will also look to expand my franchise portfolio beyond the fitness industry.